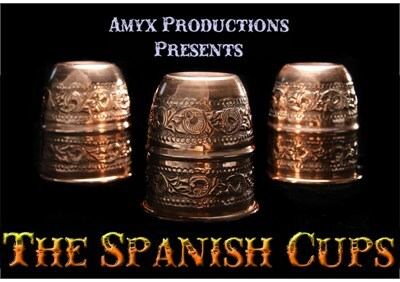 We're thrilled to be able to offer you these beautiful Spanish design cups, perfect for both the collector and performer. While featuring a delicate and intricate design, these cups are also sturdy enough to withstand the use of a full-time worker. Hand-made and designed by some of the finest copper Artisans in the business. Each cup measures 3.25" (8.3cm) in height and 2.75" (7cm) in length, weighing in at a comfortable 2.6 ounces, (approx 74g). Also included with your purchase are four 1-inch balls and a carrying pouch.